It is no denying the Fact that with the advancement in technology and evolution in time tons of changes have been made as well as acknowledged by millions of individuals all around the world, as these progressions have contributed in making their daily lives all the more simpler and comfortable. One such essential change is the one made in the medicinal field, now medical gadgets of all kinds have the network and connectivity that enormously increases their effectiveness and usefulness, making it significantly less demanding for patients to be monitored. However, with the way digital attacks are on the rise, a significant number of these attacks may often feel like life and demise circumstances. Be that as it may, with such huge numbers of crucial medical devices requiring network connectivity, some of them may really be targets of lethal attacks. Disavowal of administration i.e. service attacks and hackings are two of the most serious dangers confronting the medicinal device industry and the patients, that these propelled medical devices are intended to secure and protect. The astounding dangers related associated with medical gadgets is very much delineated by the case of implantable cardioverter defibrillators, or ICDs, which are embedded so as to keep a person's pulse controlled and to convey a life-saving shock in patients who are at high risk of heart failure. ICDs are potentially powerless to a type of digital attack that is firmly identified with DDoS attacks thus, rather than utilizing a system of Internet-connected devices to overpower a target, an assault on an ICD would require only one internet connection. Vulnerability is that of Insulin over-load. The creators of an insulin pump, in October 2016, made the novel stride of informing clients of a potential security weakness. In the wake of getting data about the defenselessness, Johnson and Johnson and Animas cautioned clients that an attacker, even a remote one, could possibly trigger insulin infusions by mocking the meter remotely, with the risk of eventually causing a hypoglycaemic response in the patient which could be a serious health hazard for a diabetic patient. Medical imaging gadgets are likewise in danger of cyber interference, the sort that could cause a patient serious harm. The researchers at the Ben-Gurion University of the Negev in Israel found that attackers could be able to expand the level of radiation discharged amid a scan to the point that it could cause ailment, damage or possibly even radiation overdose to a patient. 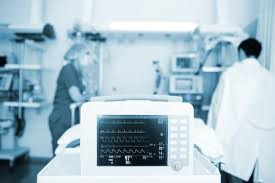 Nevertheless the message with regards to the medical devices is the same as that of any sort of devices with network or internet connectivity: security should be organized and prioritized better. The device makers should focus on creating devices that focus on playing out the tasks that they had been intended to perform. This is reasonable, however with the intrinsic vulnerabilities of these gadgets and the hazardous disavowal of administration attacks and hackings that are conceivable as a result of them, security should be the essential need of the hour.